For the poultry industry’s disease management organization, helping the federal government handle an avian influenza outbreak on a duck farm was an eye-opening experience. Last month, the Canadian Food Inspection Agency confirmed the presence of low pathogenic H5N2 avian influenza on a commercial duck farm near St. Catharines. The agency placed the farm along with 34 other farms in a three-kilometre zone around it under quarantine. 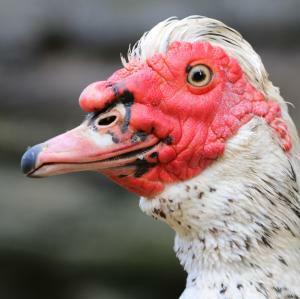 In addition, 14,000 ducks on the farm confirmed with the virus were euthanized. Tom Baker, incident commander for the Feather Board Command Centre, said one of the things they learned is while they know there are other poultry production farms besides commercial chicken, turkey and eggs, they don’t have a handle on what’s being produced and where those farms are located. The command centre’s members are: Chicken Farmers of Ontario, Turkey Farmers of Ontario, Egg Farmers of Ontario and the Ontario Broiler Hatching Egg and Chick Commission. However, one of the centre’s contributions was it had good data on farms with non-commercial small flocks of chickens and was able to provide information to the agency on those farms’ locations, he said. There were 29 small flock farms and three commercial operations under quarantine in the three-kilometre zone. An additional three farms outside the zone were also placed under quarantine because they had links with the duck farm where the outbreak took place. CFIA recently lifted the quarantine for all farms except the duck farm. That farm is cleaning and disinfecting under agency supervision and will undergo a 21-day waiting period before its quarantine will be lifted. Before the Niagara area can be declared bird flu free (for export purposes), the federal government must complete three months of post-outbreak surveillance following the waiting period. In a prepared statement, the command centre said for farms just out of quarantine licensing isn’t required any longer for the movement of poultry, poultry products and equipment.